Emily is in the process of completing the practicum to become a Consultant in DDP with Kim Golding as her Primary Consultant. 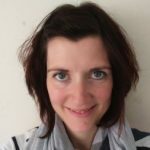 Dr Emily Barnbrook, DClinPsy is a Chartered Clinical Psychologist, accredited Dyadic Developmental Psychotherapy® practitioner and is engaged in the DDP consultant’s practicum. Emily is also a Certified Theraplay® Therapist and is now completing the Supervisor’s and Trainer’s Practicum. Emily is the clinical lead for a multi-agency team specialising in providing attachment focused therapeutic intervention for children who are looked after and adopted and their parents/carers and professional networks. Through this work Emily has been privileged to work with many fostering, adoptive and residential families who have taught her so much about the challenges of living with the impact of trauma. Emily is passionate about helping children develop healthy, loving attachment relationships and uses Dyadic Developmental practice and therapy combined with Theraplay to do this within her therapeutic work. Prior to working with children and families, Emily pursued her interest in trauma working with adults who were experiencing psychosis and addiction.